I live in a town on the confluence of rivers. 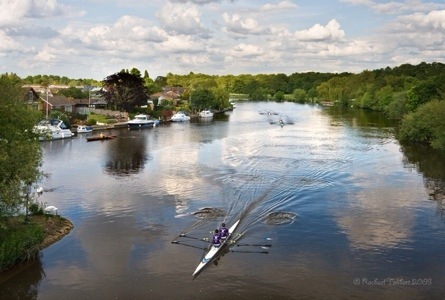 Water is a significant part of my local landscape and so is rowing. 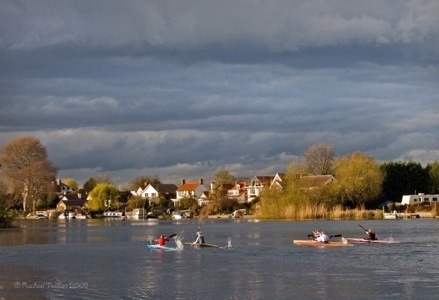 In any weather, the hardy rowers can be found ploughing a furrow through the Thames. 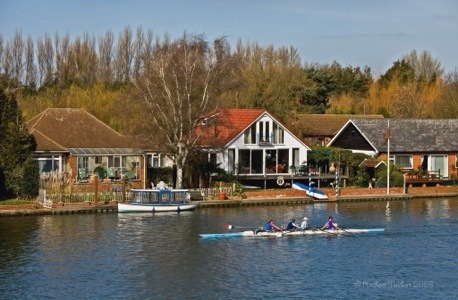 We are a nation of rowers and Surrey is in the heart of rowing country. We like to do well at rowing in international competitions. 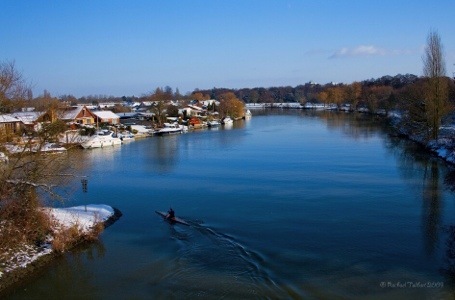 This year, there is a small sporting event taking place on home soil, and water. You may have heard if it. Hopefully, we will do well. 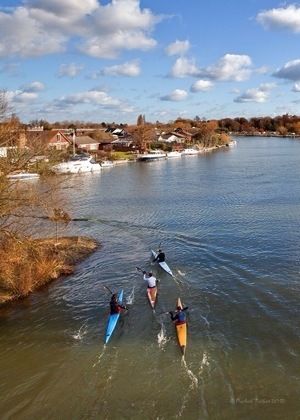 But however we do, the rowers will still be out on the Thames, doing their thing, every day. “How fared it with the wind,” I said, “when stroke increased the pace? You swung it forward mightily, you heaved it greatly back. Your muscles rose in knotted lumps, I almost heard the crack. And while we roared and rattled too, your eyes were fixed like glue. But Five answered solemnly, “I heard them fire a gun. 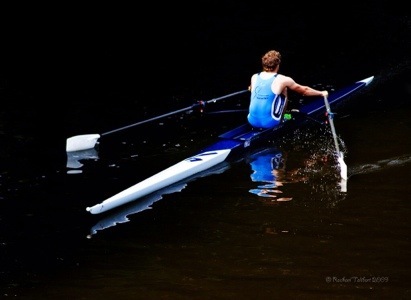 This entry was posted in photography and tagged England, Lehman, photographs, photography, river, rowing, sport, Surrey, Thames, Van Doren by Rachael. Bookmark the permalink. Very nice. There’s something pleasingly hypnotic about a human-powered boat slicing through the water, isn’t there? As for that “small sporting event”, even here in Korea there’s no evading it. I turn on the BBC most nights to hear some English and unfortunately I have no choice but to follow the interminable progress of that lamp around your apparently not-so-small country, and listen to the bouncy histrionics of the theme song several times… I was originally going to be in the UK this year but think it’s lucky that plan fell through! London would have been insufferable and no doubt the security will make life more difficult. But good luck in the rowing! Thanks. Yes, it’s a busy year over here. I think that, unless you are a die hard sports fan, visiting here is best left for another time.